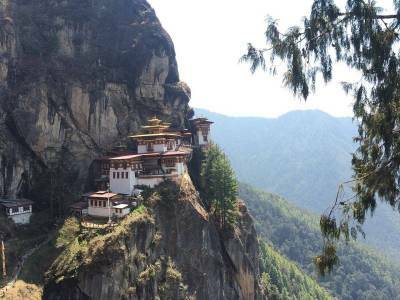 The Paro Taktsang or the Taktsang Palphug Monastery and the legendary Tiger's Nest is located at a height almost 900 meters above the Paro Valley near Paro in Bhutan is the most awe-inspiring tourism destination of Bhutan where people from all across the world come to visit every year & all round the year. The Buddhist Monastery is essentially a cliff hanger and one of the most tedious religious ascend where the travellers must scale the great altitude by stepping on steep stairs cut along the mountain wall, not an easy journey yet a thrilling tour to reach temple placid. The temple complex was built in the late 17th century CE around the Senge Samdup cave where it is believed that the religious head of Buddhism from the 8th century CE Sage Padmasambhava meditated for 3 years, 3 months, 3 weeks, 3 days & 3 hours to attain enlightenment. Padmasambhava preached Buddhism in Bhutan and is revered as Guru Rinpoche. 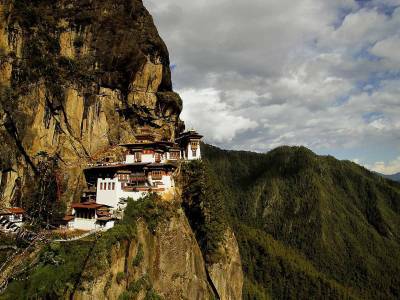 The place is called the Tiger's Nest because legend has it that Rinpoche reached her on the back of a tigress and tamed the tiger demon on reaching Taktsang. 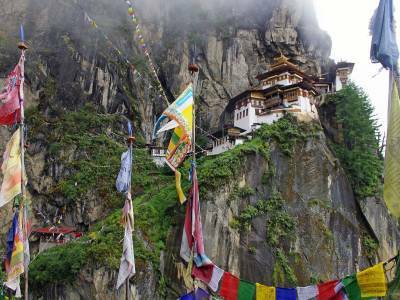 Apart from these mythological and historical importance the Tiger's Nest and the Taktsang Goemba is truly nature's nest of solace. The temple is built with Bhutanese pagoda style architecture with granite, marble, stone and wood. The decoration of the temple is done with valuable carving and the murals are very interesting. 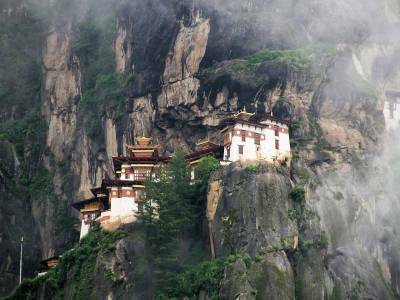 The sight of cloud covered monastery gives the tourists a live tour experience to paradise. The forest of pines and rhododendron caressed by chilly streams makes Paro Taktsang one of most serene place for the visitors. Tsechu festival is celebrated in the months of March & April every year with great pomp and glamour here, a good time to visit. 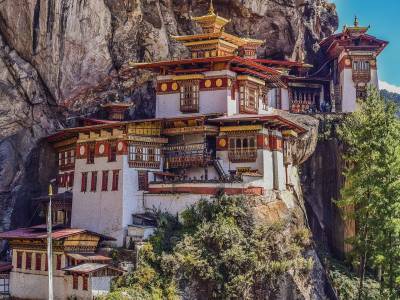 Get quick answers from travelers who visit to Paro Taktsang.